Jonteknik will release Alternative Arrangements via his own label The People’s Electric on 16 March 2018. The album will be Jon Russell’s eighth album as Jonteknik. Listen to a teaser of Jonteknik’s version of the Depeche Mode track ‘Nothing’ here. The result is a collection of songs that are immediately familiar, yet presented in a way that feels entirely original. From the funereal electronics of a new interpretation of Joy Division’s ‘Decades’ to the obscure Jeff Wayne music for ‘Gordons Gin’ (previously interpreted by Human League), Alternative Arrangements has a rare quality among covers albums – balancing the reverence with which Russell has toward these formative influences, while also emphasising qualities previously overlooked in the original song. In the case of a stunning re-imagination of The Smiths’ ‘Please, Please, Please, Let Me Get What I Want’, you can almost imagine that Morrissey and Marr always envisaged this song being fully realised by electronics. Alternative Arrangements saw Russell working with a number of vocalists and musicians across the album – Martin Philip, Tom Sanderson (The Propolis), Stephen Newton (GLYDA), Peter Fitzpatrick (Circuit3), Bear Feathers, Jimm Kjelgaard, Sr (Eminent Sol), Tris Learmouth and Bob McCulloch. Together, Russell and his acquaintances take material by Soft Cell, Depeche Mode, The Smiths, OMD, The Doors, The Police – songs and artists that mean so much to a whole generation of listeners – and sensitively reposition their importance all over again. Alternative Arrangements will be available on LP, CD and through digital / streaming services. Physical formats of the album can be preordered at [link]. The album will be released worldwide on 16 March 2018. Russell’s notes for each track included on Alternative Arrangements can be found below. All production / programming / mixing / vocals by Jonteknik unless otherwise stated. Mastering by Frank Arkwright at Abbey Road Studios. Jon Russell is a programmer / writer / producer / remixer who has been making electronic music since 1988. His credits include co-producing and writing with Paul Humphreys (Orchestral Manoeuvres In The Dark) and Claudia Brücken (Propaganda), remixing artists such as Le Cliché, Nature Of Wires, Metroland, iEuropean (feat. Wolfgang Flür) and OMD. The People’s Electric is an electronic music community where everyone is welcome. Our artists like to release music on physical formats, but our little community will just as readily embrace those who love to download too. We exist to bring great electronic music to your discerning ears, whatever your listening preferences. The People’s Electric was founded in 2016 by Jon ‘Jonteknik’ Russell in Shoreham-by-Sea, England. ‘Suffer The Children’ was the first single by Tears For Fears. Their debut album, The Hurting, is one of my favourite albums of all time. I could have chosen any track from it but this song really touches me. It conjures up hope in some way, although on the surface it appears to be about emotional neglect. ‘Nothing’ by Depeche Mode. I was late getting into DM, It was in 1988. I collected so much vinyl and CDs of theirs. I remember the ‘Zip Hop’ mix of Nothing on a US 12” I had. I loved it. It made me see the song in a completely different way. I always felt there was somewhere else I could take it. ‘Rent’ was the first song I tried to cover, using a Commodore Amiga computer and tracker program at the end of the 1980s. The Pet Shop Boys gave me so many iconic tracks as my thirst for good pop songs grew. This is just a great song that tells a story – remember when songs did that? ‘Torch’ is my favourite song by Soft Cell. The flugelhorn melody is sublime and the added ingredients of Dave Ball’s minimal electronic pop matched with the unmistakable beautifully stylish vocals of Marc Almond make this an insatiable pop song. ‘Please, Please, Please, Let Me Get What I Want’ is one of the tenderest songs I know. The Smiths always made the best edgy music and this song demonstrates their diversity as premier song writers. ‘Decades’ by Joy Division. The song illustrates the poetical vulnerability of Ian Curtis so blatantly. His words sit magnificently upon the moody soundtrack, and it’s forever a thing of beauty. ‘Of All The Things We’ve Made’. Having been extremely lucky enough to write with Paul Humphreys of Orchestral Manoeuvres In The Dark, I wanted to choose a song of OMD’s that might not be an obvious choice. Luckily for me, they professed to have wanted to be both ABBA and Kraftwerk at one time. The album ‘Dazzle Ships’, their most ‘experimental’, features this song. I imagined it the way I’ve presented it on this album in a dream I had. ‘People Are Strange’ by The Doors. This is one of those songs that appeals to oddballs like me. You can’t help but sing along after a few listens. It’s one of my guilty pleasures. ‘Gordon’s Gin’ is an instrumental track by Jeff Wayne, originally written for an advertisement for that brand of gin. My version is inspired by a cover by the early Human League line-up which can be found on their Travelogue album. I found that keeping the tempo the same throughout the song, unlike the Human League version, it takes on an interesting life of its own. The melody is so addictive – I love it. ‘Invisible Sun’ is by my favourite childhood band The Police. The tour to support Ghost In The Machine, the album this is from, was the first concert I ever attended back in 1981. I was only nine years old and it was probably the first time I understood a meaningful song. When they performed it, they played the ‘controversial’ video about the troubles in Northern Ireland on a large screen. I then realised that music had a visual dimension too. I wrote the following press release for iEuropean’s debut album on The People’s Electric. 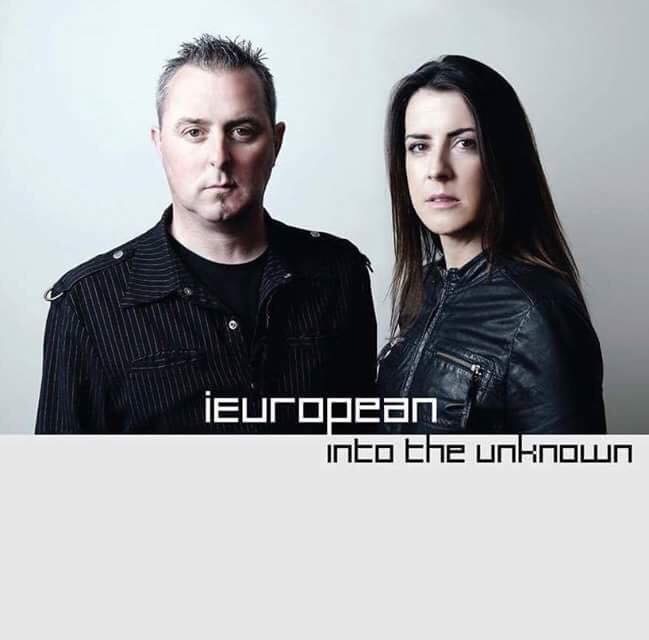 The People’s Electric are proud to announce the release of iEuropean’s debut album Into The Unknown, which will be released worldwide on April 21st. Into The Unknown is just that – an unplanned journey made on utterly unchartered waters, by two of the most unlikely of musical collaborators. That partnership has produced a bold, original musical statement full of unexpected moments, sudden shifts and towering pop songs. After leaving his former group Empire State Human, iEuropean founder and electronic music stalwart Seán Barron found himself lost at sea and considering a voyage which he intended to take with numerous guest passengers delivering vocals. The project began with an auspicious pairing with Kraftwerk’s Wolfgang Flür (2014’s ‘Activity Of Sound’ EP), but Barron soon found himself drawn increasingly to the siren-like a cappella vocal he’d been sent of a song called ‘Sweet Paranoia’ by an actress and singer friend, Ruth Lalor. The iEuropean ship was taken hastily back to port, fully refitted and then set sail once more, this time as a fully-fledged duo. Recorded between 2013 and 2016 in Barron’s studio in Dublin and then after its relocation to Kildare, the stylish production of Into The Unknown takes in prowling synths reminiscent of Alan Wilder’s Recoil releases and Depeche Mode albums, disco-era strings, crisp electronic rhythms and occasional unanticipated nods to techno and dance music. This is modern electronic pop music which is both forward-looking and reverential, unafraid to experiment but entirely sensitive to history. The consistent thread running through this album is Ruth Lalor’s voice, full of bluesy angst and anguished emotional outpourings. Hers is a voice that belongs in smoky underground speakeasies and dimly-lit jazz clubs, all rich soulfulness and molasses-smooth tenderness. On paper, setting that voice to an electronic template would sound as treacherous and ill-advised as deciding to put to sea in the midst of a violent storm, but one listen to tracks like the rapturous nod to dance music on ‘Don’t Lose Control’ or the unpredictable switches of ‘Fire Out’ and you realise that this is a calculated risk that has absolutely paid off. Into The Unknown was released on April 21st on CD and digital download. The CD can be ordered at www.thepeopleselectric.com/shop. The People’s Electric is an electronic music community where everyone is welcome. Our artists like to release on physical formats, but our little community will just as readily embrace those who love to download too. We exist to bring great electronic music to your discerning ears, wherever your listening preference. We were founded in 2016 by Jon ‘Jonteknik’ Russell in Shoreham-on-Sea, England.